The nights have really started to draw in and it is about now that thoughts turn to the season of goodwill and, not entirely unnaturally, to Christmas presents. In the midst of trying to find the perfect presents for all of your friends and relatives; spare a thought for them because they are probably finding it just as challenging as you. So what happens if you have some well- heeled friends, relatives, or even have enough left over to treat yourself? We decided to take a look at some watches which just might make it on to your wish list. 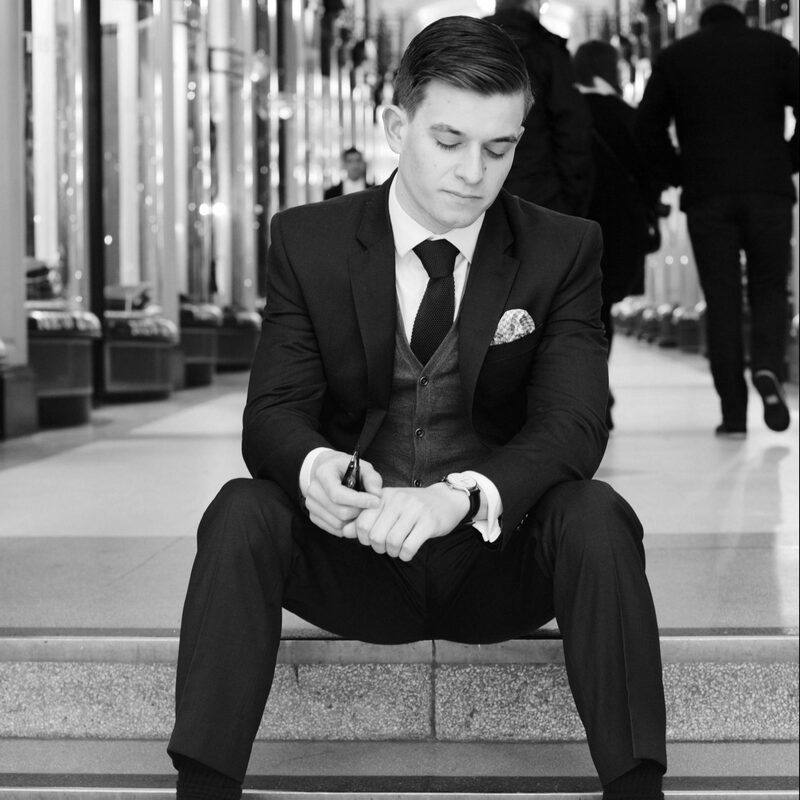 Here at The Male Stylist we believe that Christmas style should be more Frank Sinatra and Dean Martin than Rambo, hence our choices reflect the slim, understated appearance that really makes its own gentleman’s statement. 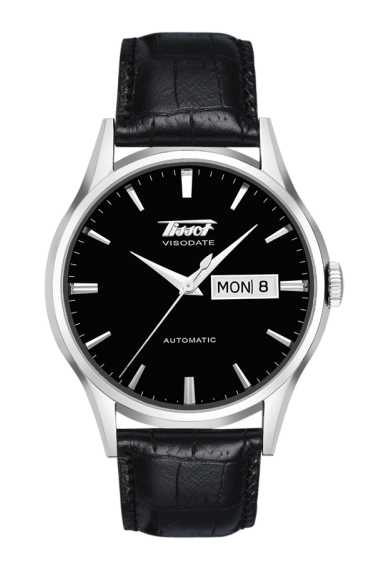 Tissot’s entry level automatic watch gently eased itself into our affections because at £395 to £430 from high street outlets (or little less on the net) it represents real value for money and has touches of genuine elegance. Dagger hour and minute hands and a long second hand make for clear reading and the period ‘Tissot’ lettering on the face and on the clasp create a modern take on classic features. It is available in steel or ‘gold’ finish and with a black or white face and can be fitted with black or brown leather straps or a steel bracelet. At 40mm diameter some might argue that it is a little big for a truly ‘smooth watch’ but it reflects the current trend for larger watches and actually wears neatly on the wrist. Oh and a finishing touch is that, even in our 24/7 culture, Sunday remains, literally, a red letter day on the Visodate. 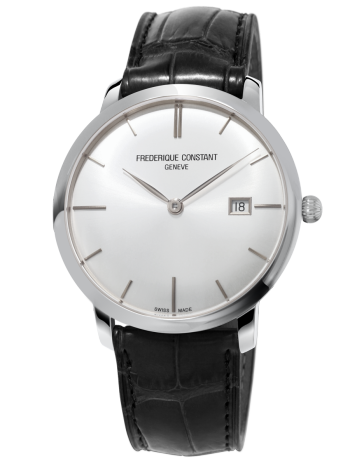 Another Swiss competitor with smoothness and style is the slightly inelegantly (though accurately) named Index Slim Automatic by Frederique Constant. We think that this quietly confident watch wears even slimmer on the wrist than the Tissot and again combines classic and modern to deliver a timeless quality. As usual it comes in a variety of differing face and band combinations to match your particular watch style. One difference from the Tissot is that the dagger hands have Luminova applied. Perfect for checking the time after Midnight service if you opened your presents early! Dare we say that the ones we have looked at have been a little better finished than the Tissot but, as prices come in at around £720 either in shops or on line, we should certainly expect that. 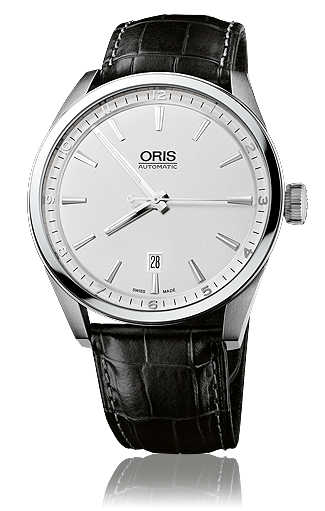 Oris manufacture a vast range of timepieces with a bewildering number of different dial styles, bezel finishes, straps and bracelets and the last post featured the Artelier Date with a range comprising 19 subtly different models. The trend to larger watches is still in full swing and the Artix is a slightly larger sibling of the Artleier with a 42mm diameter case so, not at all a small watch but still tasteful if you happen to be Gentleman on whom larger watches look good. The10 model range delivers a real sense of occasion when you glance at any one them though the silver and black model shown is particularly handsome. The finish is impeccable and the choice of straps, faces and bracelets means that you should be able to find one that perfectly suits you. Prices start at around £795 on the net for the watch shown or up to £970 on the high street. At first glance, all three Swiss timepieces appear very similar but, as in every aspect of a Gentleman’s style, carefully choosing the model that looks and feels right on you is the key to wearing it well. As a closing thought, Christmas was also for Scrooge, so whilst you should enjoy the sights and sounds of Christmas on the High Street, don’t let that complimentary glass of wine in the Jeweller’s lull you into forgetting to ask for a discount!